This is the fourth post in a four-part NaNoWriMo blog series. The days are growing short, and your word count for NaNoWriMo is even shorter. Inspiration can be few and far between in these last few days. We here at the Press decided to help you find some creative ways to keep your engine running to the magic 50,000-word count. Here are our four tips and tricks. Sometimes you cannot concentrate on the story at hand and just need to get some words on the page to help get the ball rolling. One way you could do this is by writing a stream of consciousness. This means you will just start writing down whatever you are currently thinking about. It could be an amalgamation of different ideas that may not even link together, but the point is to give you the momentum to continue writing your novel. Maybe you have a word stuck in your head. It’s blocking any work that should be getting done on your novel. Sometimes writing one word over and over and over and over and over can make you forget that it was even a problem in the first place. This will get you back in the zone and typing your heart out. Some words or phrases just cannot be translated into another language. Take this as an excuse and spice up your writing by writing in pig latin. It may rouse some good ideas and allows you to use some colorful language to jazz up your novel. Ytray itway outway! This may seem like an unconventional idea, but hear us out. There are times in your writing where you cannot type another word. It is even unbearable to look at the word count for one more second. A way to get past this block is to look from another perspective (you know, like standing upside down). With all that blood rushing to your head, all the ideas will start flowing, and you will be writing in no time. We hope that you try and use some of the recommendations that we have given in this article. Outside of them, we hope that you had a fun time writing during this month. This month is less about completing a novel and more about putting pen to paper and writing some words. That’s how you sharpen your skills, generate ideas, and get something good to come out of your stories. Happy writing everyone! Thanks for following our NaNoWriMo blog series this month. Leave a comment or visit us at Facebook, Twitter, or Instagram. We’d love to see your NaNoWriMo progress! This is the third post in a four-part NaNoWriMo blog series. NaNoWriMo (National Novel Writing Month) is in full swing, and writers are starting to see the light at the end of the tunnel. There are others, however, struggling to survive the 50,000-word goal by the end of the month and are barely crawling their way toward that light. If you come to find that you are one of those writers, have no fear! 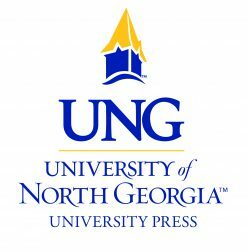 We at the University of North Georgia Press are here to lend a helping a hand, and give you some tips and words of encouragement to help beat that writer’s block and nudge you closer to the finish line! Take a break from writing. Let’s face it: sitting down and continuously writing upon hours on end can be straining, especially on your imagination and creativity. So, take a step away from what you’re writing and do something fun! Move your body! Moving around increases blood flow, including the blood flow to your brain. This can help open your mind, and when you return to your writing, you are more likely to feel refreshed and be more creative. Your joints will thank you if you move every thirty minutes or so. Get rid of distractions. It’s hard to focus when you have notifications or conversations buzzing around you, so go somewhere you can easily focus. It could be in your room, maybe even your car. Go somewhere you can separate yourself from the world, so that it’s just you and your writing. Read inspiring quotes. Writing for hours and days can become exhausting, which can cause you to become unmotivated or uninspired. No worries! One of the best ways you can overcome this is by reading inspirational quotes. You may even find inspirational quotes from some of your favorite authors . Free write. You might’ve choked up a bit when you read this one. You’re already writing 50,000+ words, and one solution is to write more? As crazy as it seems, yes! Write about anything that doesn’t pertain to your writing. This can help clear you mind, acting as a cleansing palate. Don’t be too hard on yourself. You are your own harshest critic, so keep in mind that everything that you write doesn’t have to be perfect. Allow yourself to make mistakes, and gain constructive criticism from your readers and learn from it. 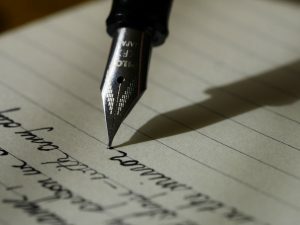 You will be a better writer because of it. Use the Cube or Webbing method. One challenge that writers face is smoothly connecting plots of the stories together. Another challenge is describing a situation in the story. Don’t fret because the Cube and Webbing methods can solve both issues! If you are not familiar with these methods, click here! Read your favorite book(s). Reading books from some of your favorite authors can not only give you a break from your writing, but it can also remind you why writing is so fun. Let your favorite authors influence or inspire your writing structure or style. Create a loose schedule to follow. When you create deadlines or goals for yourself, you are more likely to be motivated to complete them. It also helps break up the 1,667 daily-word goal into smaller pieces, making it seem less threatening and easier to conquer. Reward yourself. Writing can be very challenging, and writing over 50,000 words in a single month adds to it. Be sure to reward yourself from time to time! After you complete a small goal you set for yourself, do something you enjoy. Eat a cookie, watch a movie, dance around, and indulge a little. Celebrate your accomplishments because you deserve it! 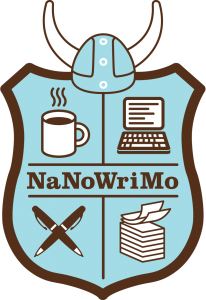 Follow along with our NaNoWriMo blog series this month. Leave a comment or visit us at Facebook, Twitter, or Instagram. We’d love to see your NaNoWriMo progress! This is the second post in a four-part NaNoWriMo blog series. You made it to day 15 of NaNoWriMo, and we’re so proud of you. It’s hard. 1,667 words a day seems feasible, but then life happens. Kids need to make it to school on time, work projects have to be finished, pets must be walked. Finding the time to write is actually impossible sometimes. But you’ve done it. Even if you’ve missed a few days or only made a partial word count or just wrote a single letter, you’ve done it. You’re halfway there. NaNoWriMo tests people who want to write. It’s draining, and it’s difficult to keep the spirits up (I know the mid-NaNo sleep marathon well). The halfway point is an important milestone. The perfect moment to figure out your motivation. Time to be honest. I mean really honest. No one else will know this but you. It’s time to ask yourself why you love to write. You don’t have to “be a Writer” to complete NaNoWriMo. The participants are from so many different paths of life. We’re all here because we love writing. But why do you love writing? I love writing because I love storytelling in every form. Books and art and music and video games. I love them all. Each provides a different way to tell a story; writing happens to be my preferred medium. I love designing characters because I never truly abandoned my imaginary friends. I want to know exactly how my characters ended up here. I want to spend the time discovering my own world. I love writing because I love language. I’m an editor, so that’s to be expected, but I loved language before I loved editing. There is nothing so wonderful as tasting the perfect word as it settles on your tongue. Language is semantics, and writing is a specific translation. A once-in-a-lifetime treasure hunt. I love writing because I want to be published. If you write, you’re a Writer, even if you never publish. However, wanting to be published isn’t shameful or bad. You’re not a sell-out. Life requires livelihood. Wouldn’t it be wonderful to support yourself through writing? To prioritize and value and treasure your chosen career? Yes, I love writing, and yes, I want to be published. Meg Cabot, author of The Princess Diaries, has spoken before about quitting things you don’t enjoy to make time for the things you do. Sometimes, that’s not possible. Yet, reminding myself why I love writing helps me better value and prioritize the writing I can work on. It doesn’t matter if your reasons are profound or simplistic or if they even make sense. They’re your reasons. Prioritize them. Enjoy them. Love them. There’s 15 more days this NaNoWriMo. I know it’s tough. But I know you can do it. Posted on November 15, 2017 November 7, 2017 Author Jillian MurphyCategories Entertainment BlogsTags #amwriting, #ILovetoWriteDay, #WednesdayWisdom, #writerslife, #WriterWednesday, #writingmotivation, I Love To Write Day, Meg Cabot, NaNoWriMo, NaNoWriMo 2017, NaNoWriMo blog seriesLeave a comment on Why Do You Love Writing? We’re honored to have Dr. Donna Gessell as a guest author today. Dr. Gessell has participated in NaNoWriMo for the last decade and helped organize local NaNoWriMo events on the UNG Dahlonega campus. This is the first in a four-part NaNoWriMo blog series. November is National Novel Writing Month (NaNoWriMo), that time of year when hundreds of thousands of people around the globe furiously attempt to write 50,000 words of their novels. If that sounds crazy, well, it is. However, the experience is one I’ve repeated at least eleven times since I was introduced to the phenomenon thirteen years ago. Of those eleven times, I’m glad to report that I have “won” seven times. “Winning” means reaching the 50,000-word goal. The only prizes for winning are the satisfaction of having achieved the goal and “a crappy first draft” of a novel. That verbiage is from Chris Baty who started NaNoWriMo in 1999 with a group of friends. He chose 50,000 words because it is about the length of The Great Gatsby. So why participate in NaNoWriMo? Beyond the satisfaction and the draft, it’s a great exercise in writing discipline. It’s not difficult to figure out that an average of 1,667 words are needed each day for the thirty days of November. Finding the drive to write that much every day is good self-discipline for any writer. Also, dealing with the ups and downs that each week presents adds to the experience. When the euphoria of Week One expires, learning techniques to keep going during Weeks Two and Three builds writing stamina. And the final whirlwind of Week Four writing keeps authors coming back yearly. The camaraderie of NaNoWriMo is also inspiring. Knowing that hundreds of thousands of other people are also writing makes for good company, and the NaNoWriMo website provides opportunities to converse with other authors in chat rooms on everything from character development to how to procrastinate with a variety of useless activities, including making up lists of poisons to do-in a villain and how to brew the perfect cup of coffee. At the local level, writers can join regional groups and participate in Come Write Ins. In fact, the Chestatee Review is going to host Come Write Ins upstairs at the Starbucks in Dahlonega, 110 East Chestatee Street, every Monday in November from 10 am to 12 noon and from 7 pm to 9 pm. Bring your laptop, your ideas, and your grit. You’ll see me adding words to my latest attempt at a novel, this one based in the small town in Virginia where I learned the power of words while writing manuscripts of all genres with my childhood friend. More than a dozen novels that started out as NaNoWriMo projects have been published, including Water for Elephants by Sara Gruen and The Night Circus by Erin Morgenstern. Perhaps yours will join the list. Ever wanted to write a novel? Can’t find the inspiration or drive to do it? Then look no further than NaNoWriMo! What is NaNoWriMo, you may ask? It stands for the National Novel Writing Month. During the month of November, you will write 50,000 words over a 30-day period. By the end, if you have successfully written 50,000 words, then you will have a novel that you can send to publishers, publish yourself, or have just for you to enjoy! Some famous authors, who we will be featuring throughout the month of November, have even created their novels during NaNoWriMo. 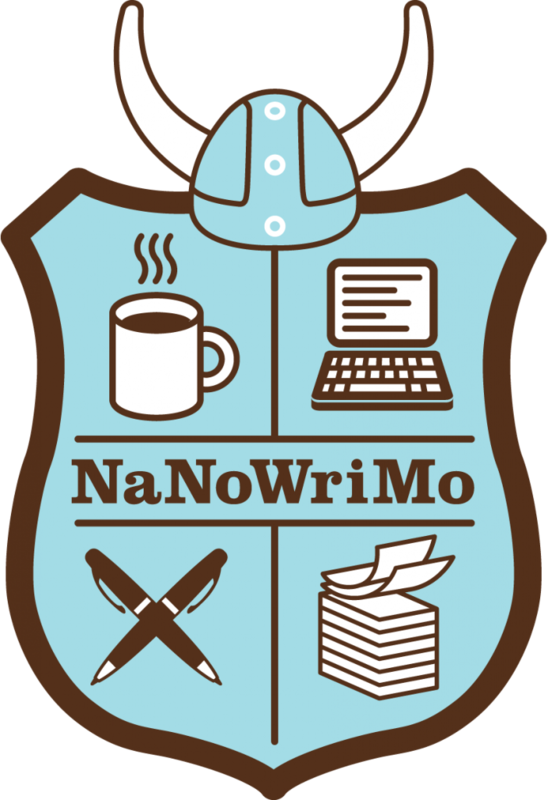 All you have to do is visit the NaNoWriMo official site and create a profile so that you can become connected with the community, track your writing goals, and so much more. Does all of this seem a little intimidating? Here are a couple of tips on how to start before the month of November! Start by storyboarding possible ideas that you have. During November, you may be too busy typing away to get to your word count goal for the day to think about the characters that you are developing and the storyline. It is a great idea to start NOW on selecting possible genres, time periods, and directions for your novel. This will help you have a clear direction for the month ahead and helps buffer the impact of any bumps in the road. Do research, make outlines, and get to thinking so you are not stressing while you are busy writing your novel. Seek support from the NaNoWriMo community. Sometimes, you may need advice on your novel from other people who have also struggled with writing a book. Luckily, NaNoWriMo understands that and has set up events and forums just for this. This gives you the opportunity to talk with other budding authors that are trying to keep up with their word count, their story, and their day job all while trying to write an entire novel in a month. You can do things like add a writing buddy in your profile to keep you accountable on those days when you just do not want to write a single word. Regional events are held throughout the month, such as write-ins, where you and other local NaNoWriMo author gets together to write or edit. Check out events like Camp NaNoWriMo, a virtual writing retreat, that will give you the resources to complete all of your writing projects in your drafts. Don’t wait! Procrastination is the enemy of any novelist. Check out the NaNoWriMo website today, create your profile, and begin writing your outline for your book! Utilize all the tools and tips you can, and keep an eye out for more great stuff in November so you can have a successful National Novel Writing Month. Have any other suggestions? Want to start talking ideas with some of our readers? Leave a comment or visit us at Facebook, Twitter, or Instagram to find more great content! NaNoWriMo. I know it sounds catchy, but what does it actually stand for? It’s short for National Novel Writing Month, which is every November. NaNoWriMo seeks to bring a fun and spontaneous approach to novel writing. Presented by the National Novel Writing Month nonprofit, NaNoWriMo is free to enter and prizes are awarded to participants and winners. The competition challenges its writers to complete a 50,000-word novel in just 30 days. Ellen DeGeneres once said, “Procrastinate now, don’t put it off.” Similarly many writers, myself included, have big writing dreams about “one day” writing “that story.” Time tends to get away from us, and we never have enough time to do everything that we want. It’s understandable that the prospect of writing a novel in such a short time might seem daunting, but it is not impossible. So use all of the tips and perks that NaNoWriMo presents to break free of your procrastination prison, pull that dusty idea off the shelf, and start writing! Not just for the avid procrastinatior, one of the best things about NaNoWriMo is—you guessed it—the deadline. Deadlines can help light the fire under all of us, forcing us to get to work. Once you decide to go for it, put your all into writing as much as you can. Getting a late NaNoWriMo start? Who cares? Challenge yourself and see what you can do. Besides the deadline, another important thing to remind yourself of is to set smaller daily writing goals. They can make the thought of writing 50,000 words in under a month less intimidating. If you aim to complete this challenge in twenty days, for example, determine to write 2,500 words, or about 10 pages, every day. Set goals that work for you. Your novel doesn’t have to be perfect or beautiful; it’s a first draft. Simply finishing NaNoWriMo is an accomplishment in and of itself. Because in the end, you’ll have a creation that didn’t previously exist. Writing a novel in under a month is doable. Bring that great story idea to the forefront of your mind, tell that little voice inside of you that you refuse to put it off any longer, and start writing!